Take a look at the image below and see if you recognise yourself more on the left or the right hand side. Can you see where some of your colleagues might sit? People with a fixed mindset believe that their intelligence, talents and other abilities are set in stone. They believe that they're born with a particular set of skills and that they can't change them - as a result, they plateau early and achieve less than their full potential in life. 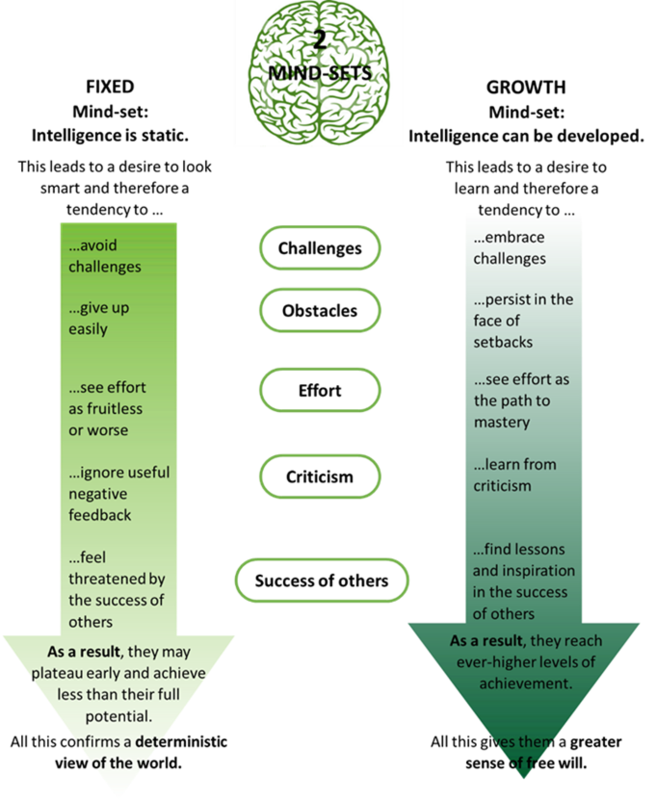 Those with a growth mindset however, believe that with effort, perseverance and drive, they can develop their natural qualities, reaching ever-higher levels of achievement. So, the big question is - how can we move from a fixed to a growth mindset?